If you’ve ever watched an HGTV show or read/received home-decor advice from a real-estate pro, you’ve heard it again and again: embrace neutral patterns and tones. There’s value to that advice — leaning bold or really far toward your own personal tastes can be risky when you go to sell your home, especially if the finishes you’re considering are really unusual, really loud or really of a particular moment. Make that move, and you have to get comfortable with love-it-or-hate-it responses, and a potential wait for the right buyer. That said, we’re in kind of an interesting phase right now, home-design trend-wise, because unique, bold-patterned cement (or encaustic) tiles are way in, and only getting more so. There’s nothing wrong with hedging your bets with neutral finishes. But sometimes, making a space stand out takes a little risk. 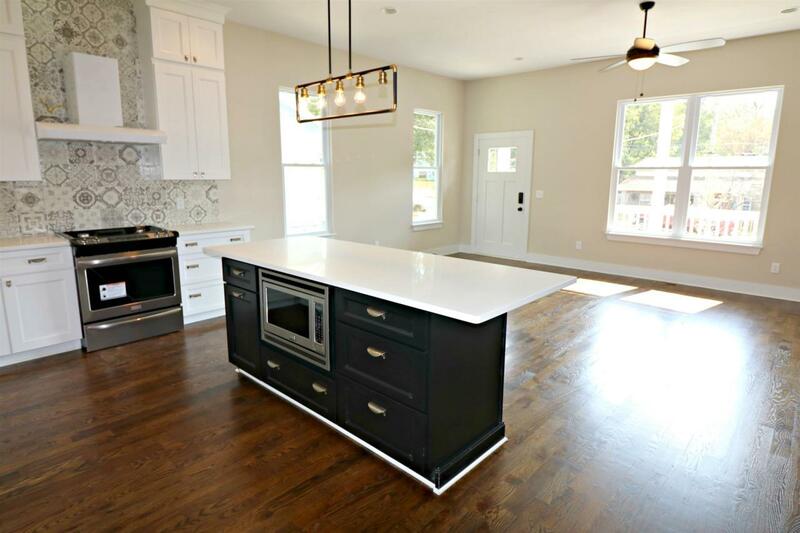 Lots of cool choices in this new East Nashville construction, including the overall architecture, meant to mimic Victorian grandeur. That backsplash tile is definitely a standout — a pop of interest that plays perfectly with the stark black/white contrast in the kitchen cabinetry. 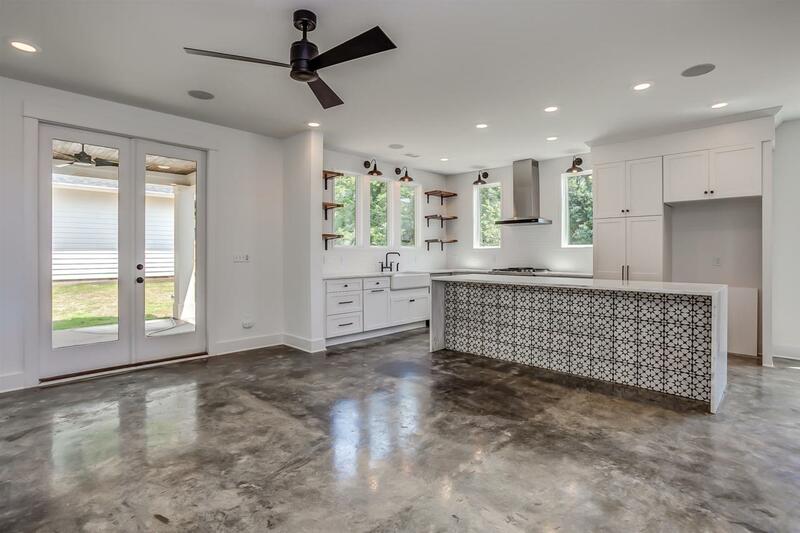 Another new East Nashville home — this one in the Rosebank area — and a perfect example of packing a big impact into a small space. A kitchen island is a great spot to play with: Since it sits in a prominent spot in the most important room in the home, you have a built-in focal point in the waiting. Minimal square footage means you can choose really high-end products for a big wow factor, and not break the bank. Plus, worst-case, if a buyer hated the choice, it doesn’t cost much to change. Another small space, big pop. 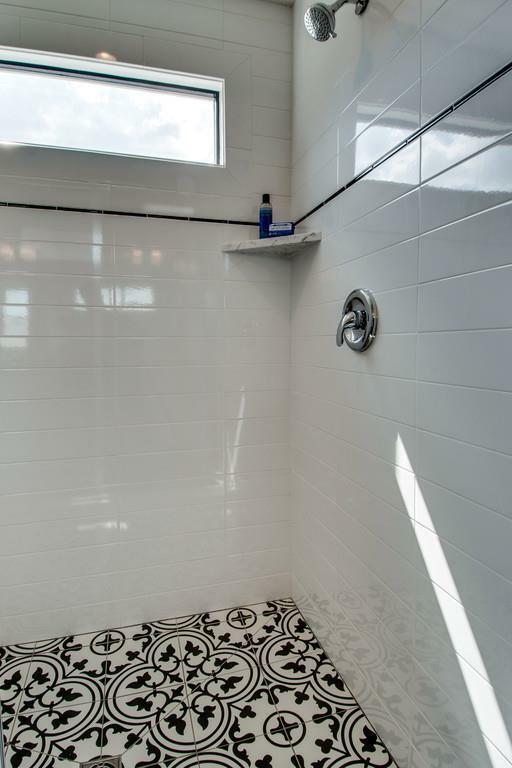 Adds extra interest to a classic subway tile shower, and adds a little something special that makes this Inglewood home stand out. 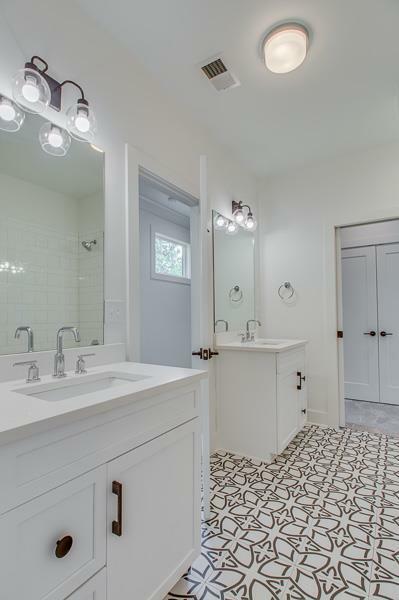 This busy, masculine pattern in a new Salemtown/Buena Vista build is a love-it-or-hate-it choice, but young, creative neighborhoods like this, East Nashville and The Nations, tend to give you the room to go for it. Perfect placement in 12 South: Take a crisp, white master-bath design, and make it something special with floor tile that stuns. 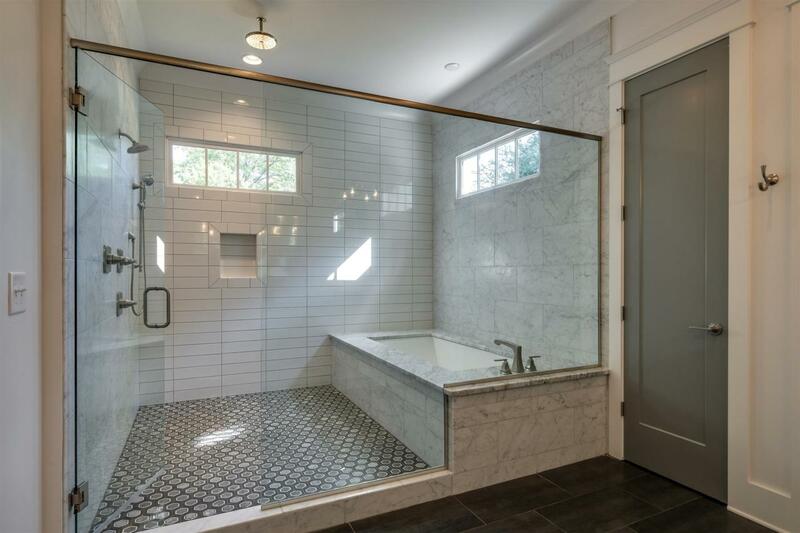 Three different tile choices in this massive Green Hills master shower/bath combo, combining the classic subway and marble looks with modern concrete tile on the floor. Arresting, elegant and cool. 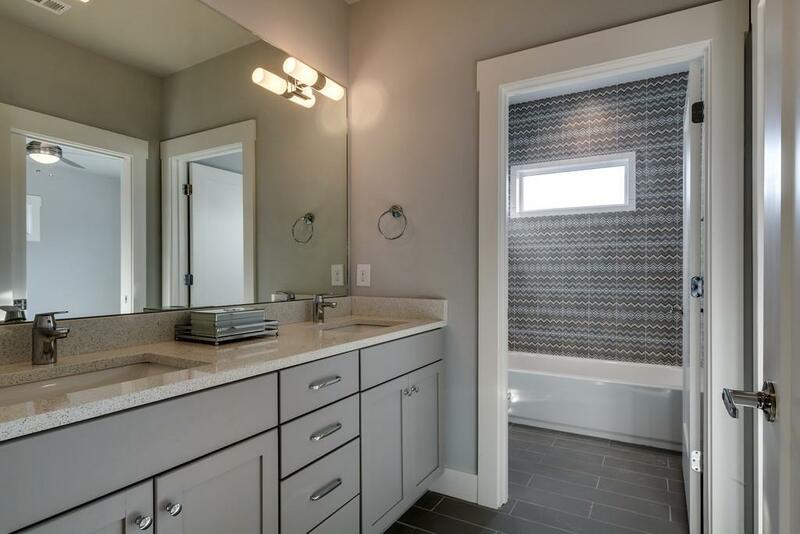 In Hillsboro Village, a guest bath that’ll really wow a guest. 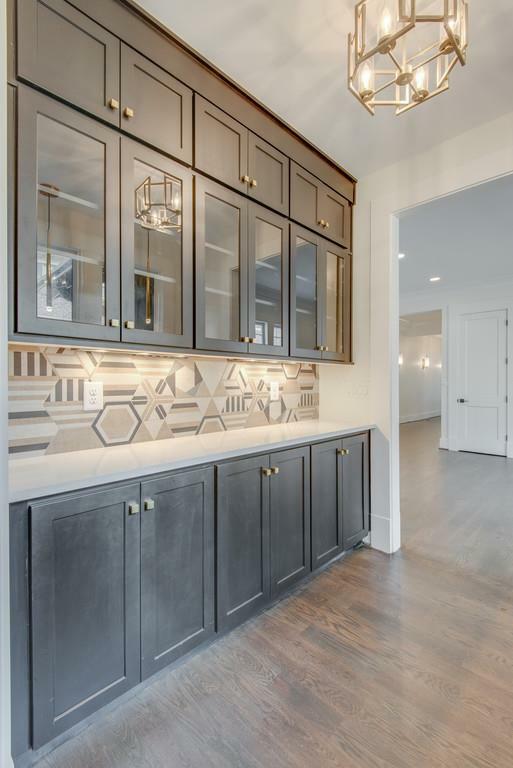 In a high-end home like this one (great location, right between Sylvan Park and Green Hills), you won’t find a single room with also-ran finishes. 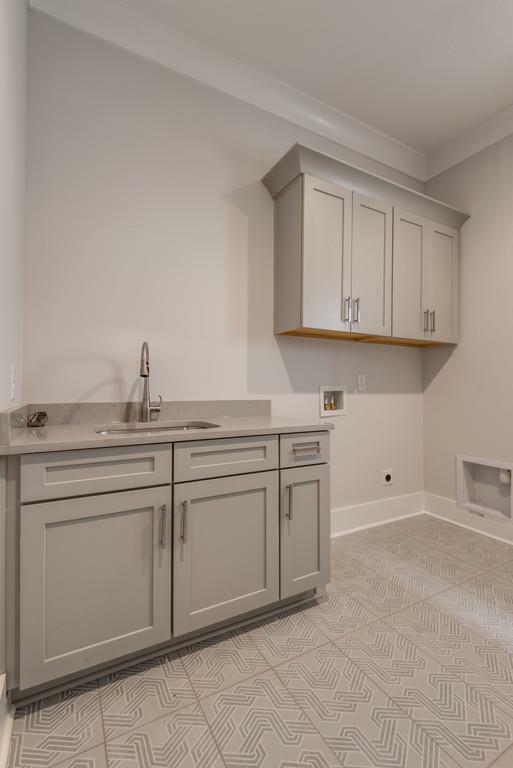 Every space is ultra-stylish, including the laundry room, with modern, bold-patterned floor tile. 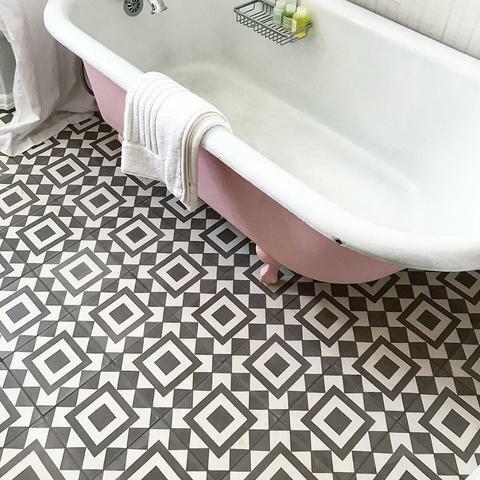 Could absolutely see these tiles in a master bath, too. If elegant light fixtures are your poison, you’ll want to take a spin through this reimagined 1920s bungalow in the Belmont area. Here: a backsplash that helps raise the bar on home bars. 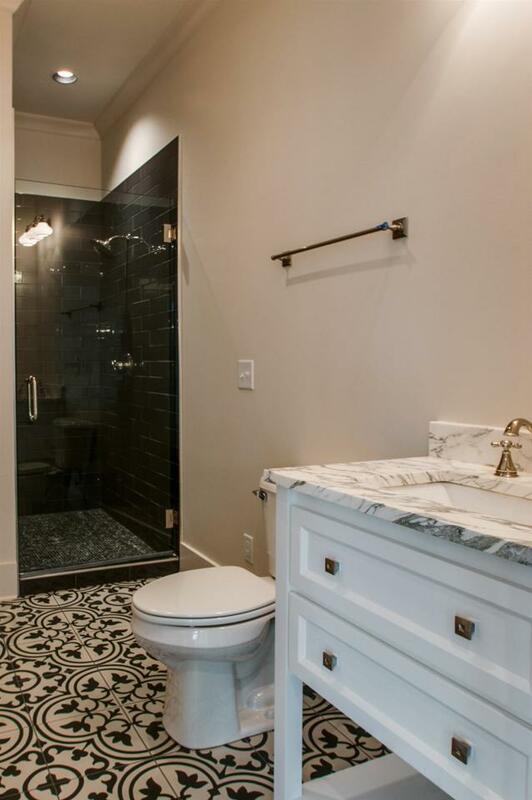 How do you feel about this bold-tile trend? Into it, or would you rather a classic subway-tile look? Drop your thoughts in the comments or on the ACRE Facebook page. Whatever your aesthetic, if you’re househunting in Nashville, we’d love to help you find a place that fits your wish list. Reach ACRE here, or for an easy way to start looking for your new Nashville-area home, fill out this quick form.